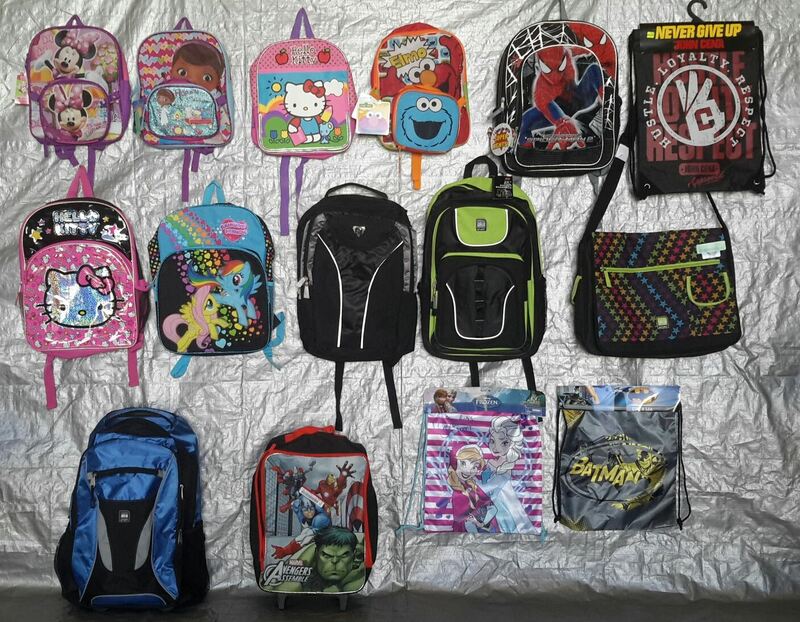 This is a wholesale lot of 40 kid's school bags - get ready for back to school shopping! The items in this lot are mixed designs, styles ,sizes, brands etc. Please see the images for examples of the assortment of great items included in this lot. Click the button below to add the Wholesale Lot of 40 Backpacks Messenger Cinch School Kids Child Bags to your wish list.